Safe working load capacity 150kg. H x L x W: 240 x 400 x 325mm. Reaching areas that aren't easy to access by just standing on the ground, such as the top shelf of a cupboard, can cause individuals to over stretch which could lead to an injury. 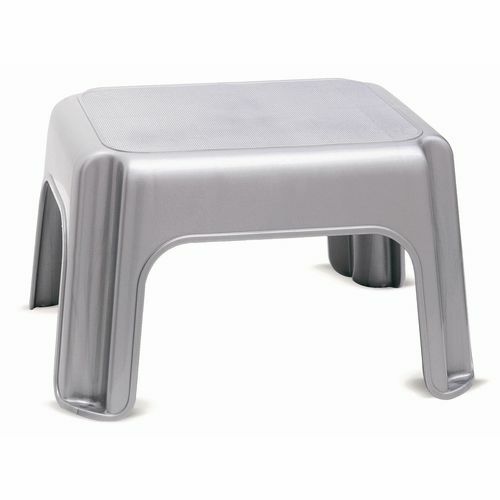 Our lightweight plastic step up is a great addition to the workplace or at home; they are affordable and easy to move, making them ideal for almost anyone to use. They portability of these steps is great for moving around, and could be useful for cleaning high up. There is a safe working load capacity of 150kg, making them ideal for using with equipment, such as heavy buckets of water. The slip resistant rubber feet make this product secure when in use and the overall dimensions are; H x L x W: 240 x 400 x 325mm. Our lightweight plastic step ups are easy to move around a workplace or home to help the user to reach high areas that are difficult to get to from the ground and they come with a 12 month guarantee.